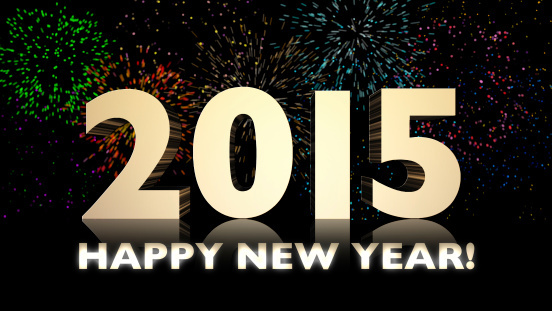 CHARLOTTE CELEBRATES 2015 WITH NEW YEAR’S CELEBRATIONS | South Charlotte Newcomers! The Queen City offers family fun for celebrating and welcoming the New Year! Tradition prevails in Uptown Charlotte with the CLT New Year’s Eve. Formally called First Night, the CLT New Year’s will run 7pm to 12:30 am outside the NASCAR Hall of Fame on Martin Luther King Blvd between Caldwell and Brevard streets. Bring the family and enjoy live music, carriage rides, food truck, ice-skating and fireworks at midnight. 2015 will have the traditional raising of Charlotte’s crown! Little ones may need daytime fun to entertain them on New Year’s Eve. Charlotte’s Nature Museum will also offer daytime for the kids! Open 9-5, kids can get up close and enjoy the animals and interactive fun. At 12:30, join in the fun with Wild Wednesday: When Winter Comes. John Tosco’s 4th Annual New Year’s Eve celebration is a foot stomping, audience participatory, and music party for the whole family! This family-friendly variety show will include comedy, dance, music and other fun entertainment. At the Knight Theater. More musical New Year’s celebrations can be found throughout Charlotte! Enjoy the music at New Year’s Eve with Widespread Panic! Widespread Panic will perform at Time Warner Cable Arena at its ninth annual Tunes for Tots concert on December 31st. The Duke Mansions 100th Birthday Party on New Year’s Eve will be a very fancy, black- tie party with music from That Guy Smitty, a multi-course dinner, champagne toast and a late evening breakfast will be offered at the upscale soiree! New Year’s Eve: A Night of Whimsy at New Gallery of Modern Art charity ball is another formal New Year’s event with a fun twist! Dress code is “formally colorful” with a full bar, appetizers and desserts. ADULT snow cones, and cotton candy will add to the food fun! The Ballantyne Hotel is an always-stylish New Year’s venue! The Ballantyne package offers a New Year’s dinner package that includes a dressy attire dinner, party and luxurious room. Another upscale New Year’s hotel choice in beautiful South Charlotte is at the Renaissance Charlotte Southpark Hotel. Deluxe overnight accommodations, a four-course dinner and live music are all part of the “Frozen” themed celebration! The Daniel Stowe Botanical will sparkle with lights for the Holiday in the Garden New Year’s Eve party. The garden party will include savory appetizers and a sparkling wine tasting with a commemorative flute to take home! Uptown Charlotte restaurants offer a variety of dining experiences sure to please every palate! Mimosa Grill, Alexander Michaels, The Kings Kitchen and a Vegan’s paradise-Luna’s Living Kitchen are all casual, yummy Charlotte staples! More laid-back New Year’s excitement in Uptown can be found at Strike City NYE Time Warp! Strike City will combine four decades, starting with the 70’s, drinks, food buffet, champagne toast and, of course, bowling for a party in the past blast! The Queen City will continue in celebration the first week of 2015 on January 3rd with our very own Carolina Panthers! Reaching the NFL playoffs is a jewel in our Queen City Crown!